Here's my too-cute nephew, Russell. Tomorrow is his Mother's 40th birthday and this is my gift to her. Portrait is color pencil on tinted paper. Yes, he's too cute. Ya just want to pinch those cheeks! Nice portrait. 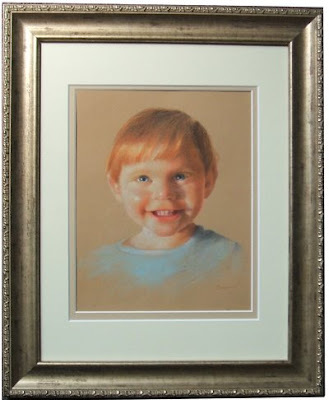 ..and how special his auntie made him with this wonderful portrait, Diane! He is just too cute!